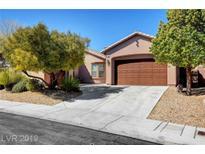 Azure Estates - Beautiful property for the money , Cul -de-sac tile flooring through out first floor, laminated second floor large back yard MLS#2079916. Signature Real Estate Group. Centennial Azure - Beautiful four bedroom home, corner lot on cul-de-sac featuring plantation shutters, travertine flooring, covered patio, master suite large walk in closet, huge fourth bedroom with two walking closets, custom ceiling fans,Storage cabinetry in garage, Playground in subdivision close to house. MLS#2079168. Nationwide Realty LLC. Club Aliante - Large Island Kitchen W/ Stainless Steel Ge Profile Appliances, Cooktop, Double Oven & Built In Microwave* Spacious Master Bedroom & Bath W/ Large Closet* Rear Door Opens To Covered Patio W/ Low Maintenance Rear Landscape* MLS#2078491. Key Realty Southwest LLC. Ann Losee Village - (french Door Fridge & Front Load Washer/Dryer). MLS#2078848. Easy Street Realty Las Vegas. Sun City Aliante - Stone veneer on front of home! MLS#2078714. Urban Nest Realty. Centennial Bruce - Usb Power Plugs At Key Locations. Move In Ready. Gated Community. MLS#2078211. TR Realty. w/all en-suite bath home features tile & Pergo wood flooring throughout;chefs kitchen w/stainless steel appliances,granite countertops,breakfast bar & desk;both formal & casual living & dining areas;loft;separate office/den;spacious master bedroom w/en-suite bath features walk in shower,garden tub & large walk in closet. MLS#2073223. WHS Real Estate LLC. Aspen Hills - This home has been maintained well and is turnkey MLS#2078871. Signature Real Estate Group. Aliante North - There is also a theater room that is perfect for watching your favorite movies. Come check this Beauty Out! MLS#2076880. eXp Realty. Nelson Ranch - Community Pool, Playground and fitness center. MLS#2077125. Century 21 Americana. Ravenna At Aliante - Soaring Shuttered Windows Lead Up To An Open Loft, 2 Bedrooms, Bathroom,Laundry Room & Separate Master Suite With Sitting Room,Soaker Tub,Walk-in Closet & Additional Shower Room MLS#2078445. Keller Williams Realty Las Vegas. Aliante North - Upstairs features 4 large bedrooms, 2 full baths, large loft and balcony. MLS#2076864. LUXE International Realty. Enjoy golfing and all the facilities of Sun City Aliante! Call for a showing~ MLS#2078328. Black & Cherry Real Estate. Centennial Bruce - This Home Is A Must See! MLS#2077221. Evolve Realty. Centennial Park - This is a must see and is priced to sell!!!! ! MLS#2077522. Simply Vegas. Sun City Aliante - Community features: indoor swimming pool/spa, fitness center, library, tennis courts, social calendar. MLS#2077573. Realty ONE Group, Inc.
Centennial Bruce - Features To Include: Freshly Painted Two Tone Paint, New Carpet And Flooring, Open Living Room , Kitchen With Plenty Of Counter And Cabinet Space, Master Suite With Walk In Closet And Separate Shower And Tub, Nice Sized Bedrooms And Closet Spaces, New Faucets, New Disposal, Backyard Patio, Paver Driveway. MLS#2077790. Brazill Team Real Estate. Aspen Hills - Move in ready! Agent/Buyer to confirm schools MLS#2077823. Keller Williams Market Place I.
Ann Losee Village - Backyard features sparkling pool with paved walkway & artificial grass. MLS#2076755. Urban Nest Realty. 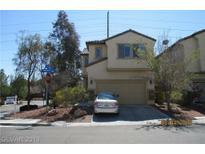 Bravo - If you are looking for a home that has been well maintained, and super clean, this is it! MLS#2077648. SmartWay Acquisitions, LLC. Arroyo Grande - !Landscape w/2 dwarf Lemon Trees+ Fire Pit! MLS#2077378. Motion Properties. Golf course, pool, gym, evens, clubs. MLS#2077048. Vegas Edge Realty, LLC. Aliante North - The home also includes a finished 3-car garage, synthetic turf, a huge pool, & a massive master retreat. MLS#2076654. Purplebricks Inc.